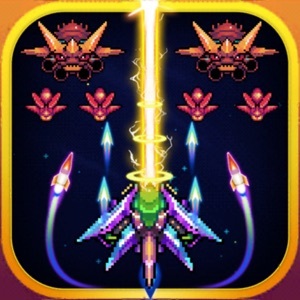 Games FREE Yes App Store 2019-04-20 ONESOFT GLOBAL PTE. LTD.
Games FREE Yes ONESOFT GLOBAL PTE. LTD. 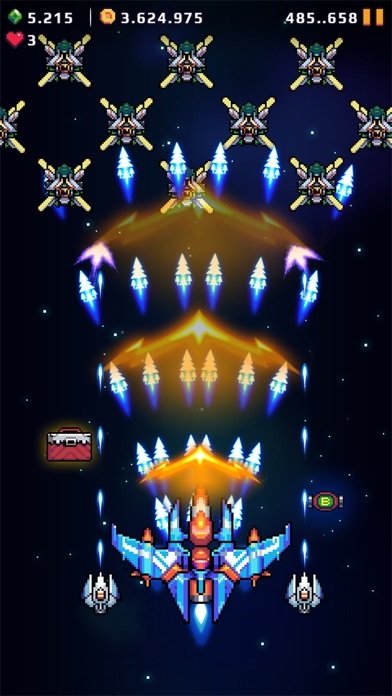 THE BEST CLASSIC SHOOT 'EM UP GAME Gorgeous Pixel graphic reminds old school games like Galaga, Galaxian. 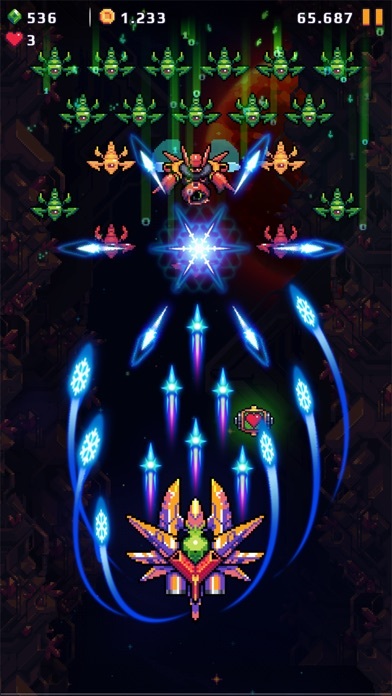 This Alien Shooter game has classic pixel style. 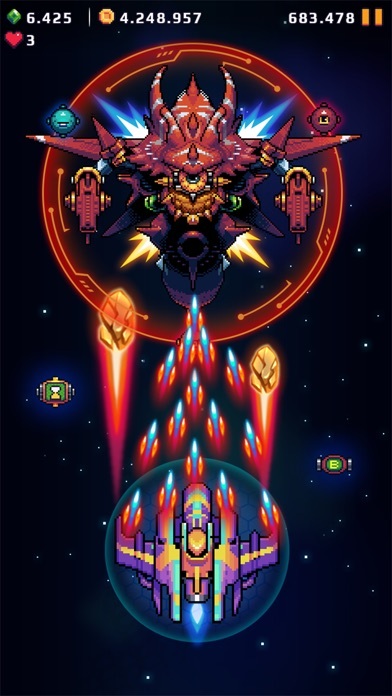 In a near future, human conquered all planets in the Solar System, thus becoming the mightiest race in the Galaxy. Sensing the potential threat, all other races rally their armed forces, bending on destroying the human race. 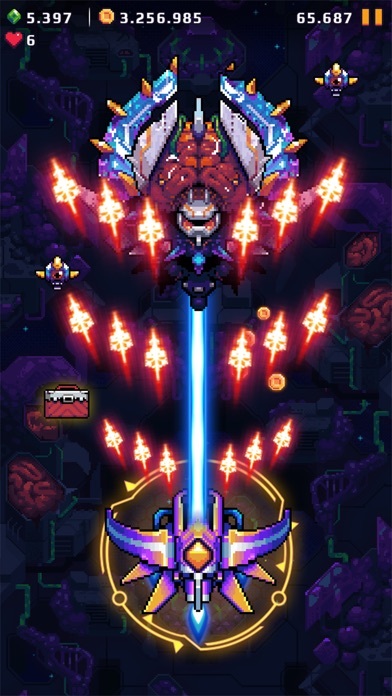 Human suffers from a sudden attack, losing many colonies in the process. 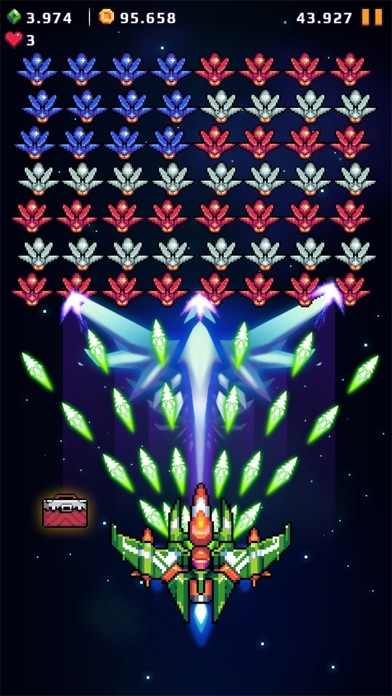 You, a hero living in seclusion, now return to ride your own fighter aircraft in the battle against evil Alien Forces. 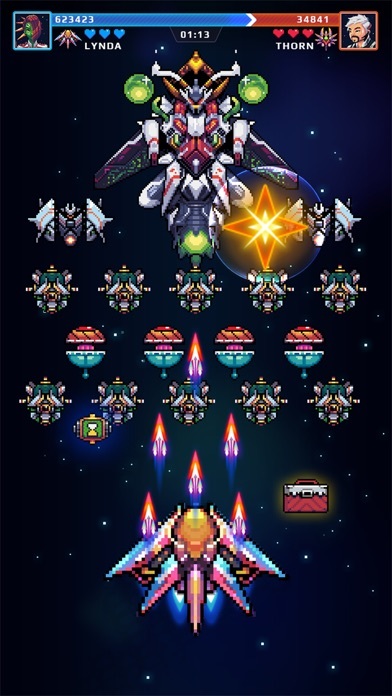 Features - Gorgeous Pixel graphic reminds old school games - Super-easy control that tutorial is not needed - Strong and varying enemies - Tough and fierce Boss battle - Various ways for the power upgrade - True space battle experience - PvP Challenge with your friend Fanpage: https://www.facebook.com/spacewargame The Galaxy is in War. We need you! 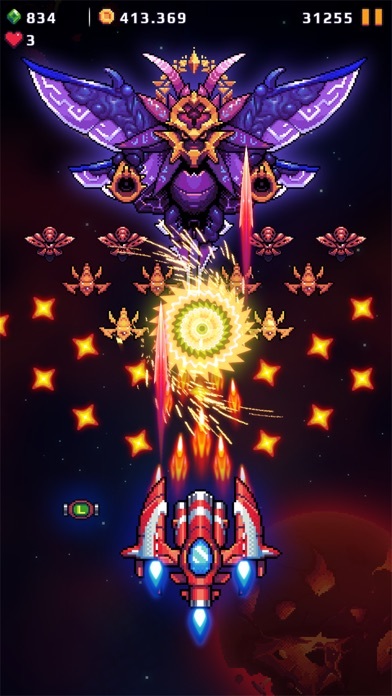 Download the outstanding arcade shooting game now!